We are one of the prime Natural Cinnamon Oil Manufacturers in India. 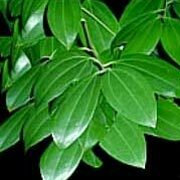 Cinnamon Leaf Essential Oil (Cinnamomum verum) is extracted from the leaf of cinnamon; it is yellowish to brown colored liquid. Cinnamon Leaf Oil is soluble in alcohol & other essential oils, but insoluble in water. Natural Cinnamon Oil is extensively used in aromatherapy, antiseptic, antibiotics, heals gastritis, diarrhea, rheumatism, kidney ailments. Cinnamon Leaf Essential Oil also blends well with citrus oil, making it an ideal base for perfumes.